The Vinyl Corporation has been distributing 3M quality self adhesive vinyl products for over 30 years, from the very popular Style ‘n’ stripe coach lines to the Opaque films, Coloured wrap vinyl films, Translucent vinyl but the outstanding product that The Vinyl Corporation has found the most successful route to market is the the Reflective Diamond Grade high performance conspicuity marking tape, which is durable, microprismatic and retro reflective which makes it ideally suited to vehicle marking applications, and Chapter 8 compliance. The Vinyl Corporation has supplied 3M self adhesive vinyl products for window graphics, building and wall graphics as well as high quality floor and pavement graphics, so if you have a demanding project to embark upon and it requires warranties and guarantees to fulfil the specification whether it is an illuminated sign or opaque vinyl graphics, just call one of our dedicated 3M experts for the best practice advice. 3M is a science based technology company and as such they research and develop the very best method to satisfy the rigors and testing environment that these graphic products are exposed to,an example of the latest Nano technology being employed in the Digitally Print market is the advent of the IJ180 mc which is known for its high performance dependability and versatility which now incorporates the NEW COMPLY adhesive and nano technology which makes it even better. 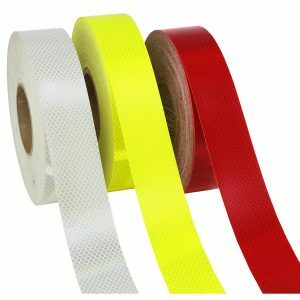 Durable and Dependable – 3M high quality and performance products, such as the 3M Diamond Grade retro reflective vinyl is recommended by The Vinyl Corporation as the ultimate solution for high visibility requirements (HI VIZ) In all weather and lighting conditions. Easy To Apply – With the very latest nano technology and adhesive structures, using a 3M GOLD squeegee it really is a very easy application process. The Vinyl Corporation is proud to supply 3M products and find a route to market for products that are manufactured in such a professional manner and perform in a way that you deserve.